Sometimes, when Ray and I walk around the lake, we see things we can't really explain. 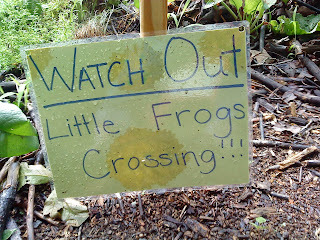 Like the sign says, there were tiny, little frogs crossing. They were the size of a fingernail on a pinky finger, (I tried to take a video with my phone but the frogs were the same color as the path) and there were masses of them. They were crossing for days. There was really no way to avoid stepping on a few. 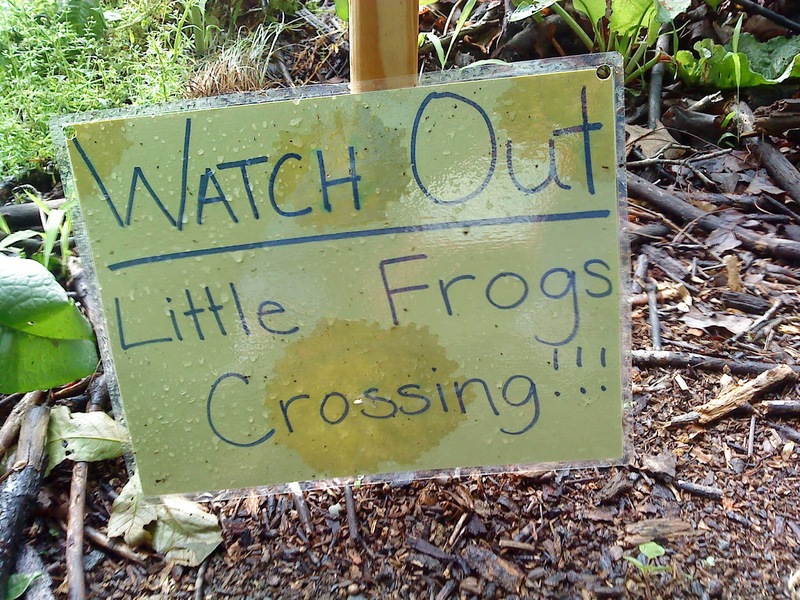 So the question remains: why did the frogs cross the path? Of course the obvious answer is "to get to the other side" but I think it could be "to get away from the snake."